 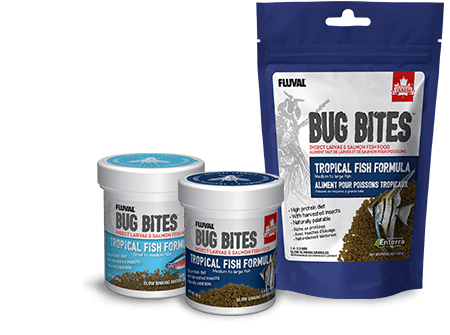 Since the dawn of time, insects have been hunted by fish in the wild as they offer a widely available, nutrient-rich food source. 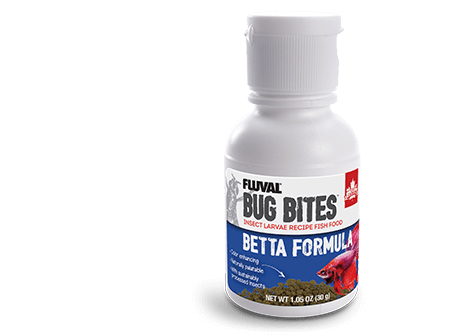 BUG BITES™ are more than just insects. 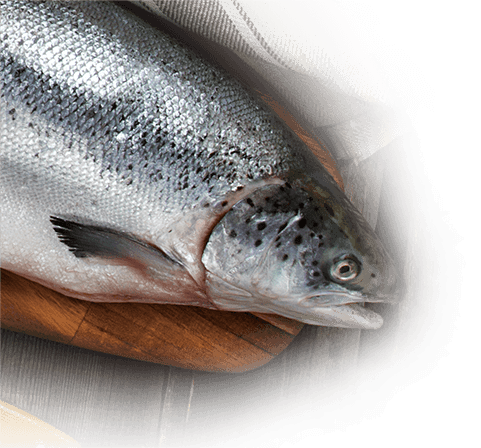 We’ve included other excellent protein sources like whole salmon, which is rich in Omega 3 and 6 for healthy skin, scales, fins and colors. 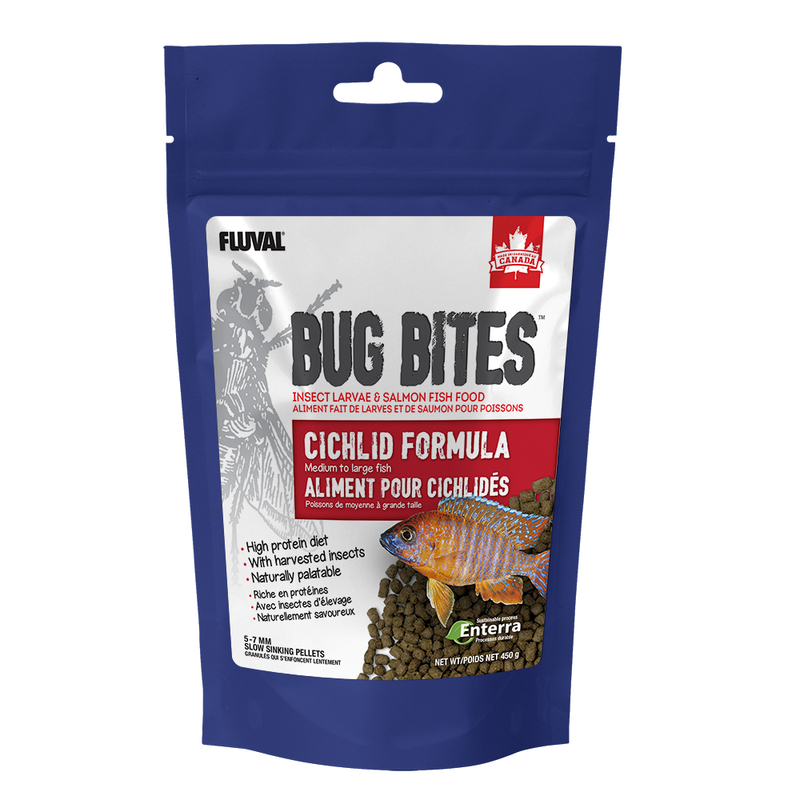 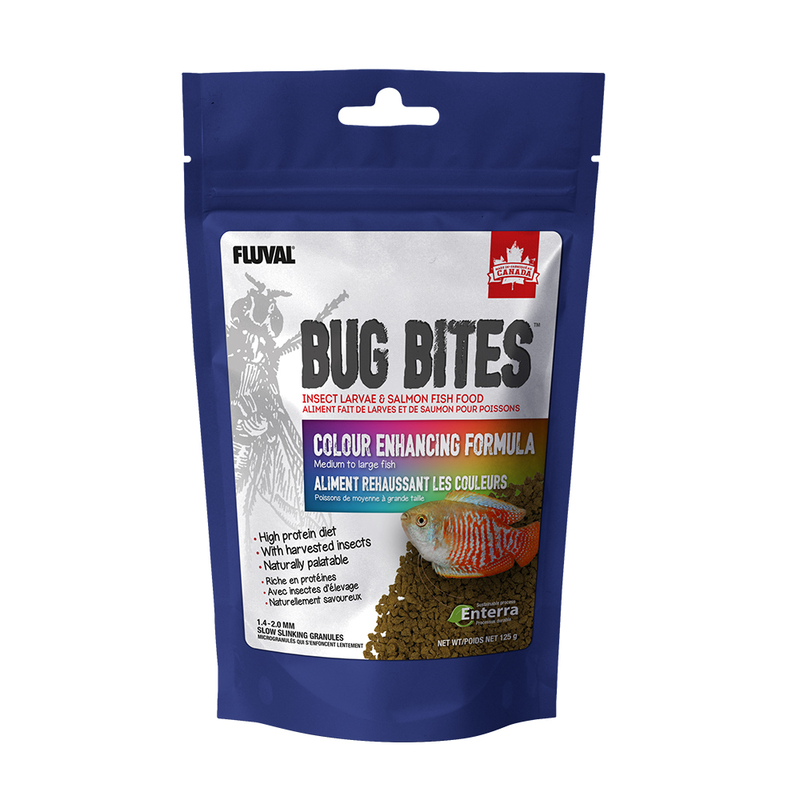 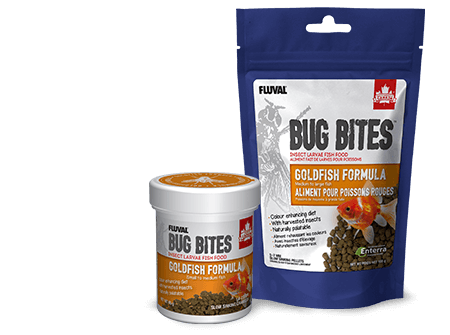 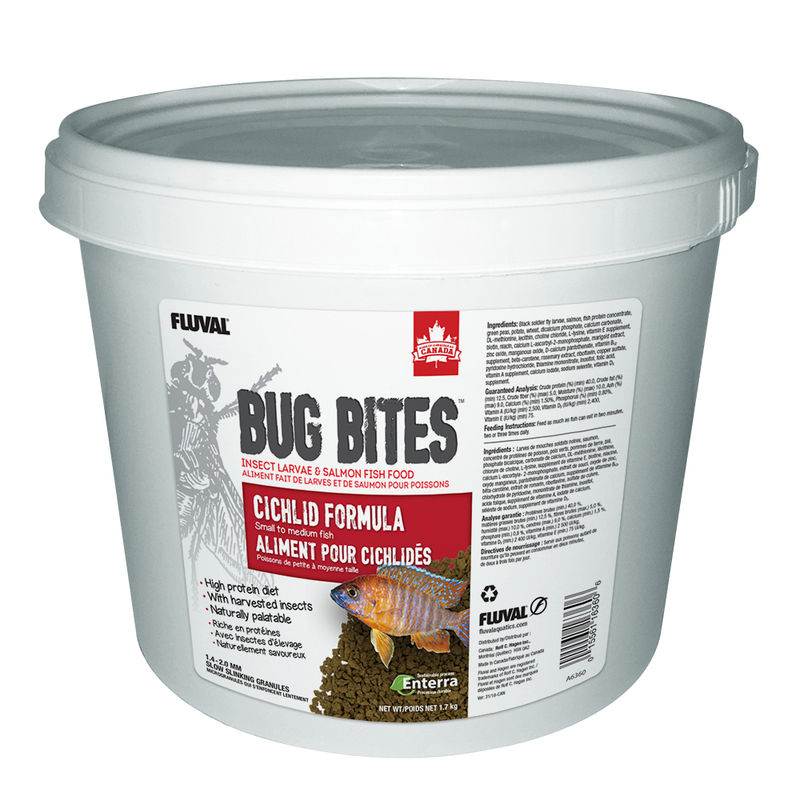 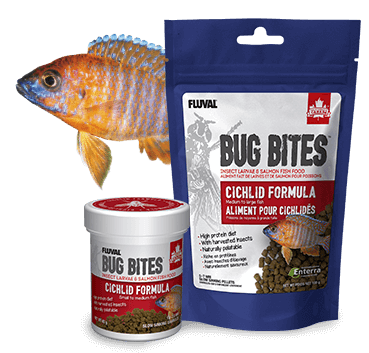 We’ve also added essential vitamins, minerals, amino acids and other trace nutrients that are vital to the health of your fish, while avoiding artificial colors and preservatives to make BUG BITES™ a completely nutritious and balanced food.  Our ingredients are prepared in small batches within our own facility for complete control and quality assurance. 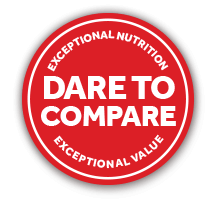 The proximity of our ingredients also allows us to maximize freshness and select items at their peak nutritional value.     Using a unique and sustainable cultivation process, Black Soldier Fly larvae (long known for their nutritional properties) are grown under controlled conditions as they feed off unconsumed fruits and vegetables that would otherwise go to waste. 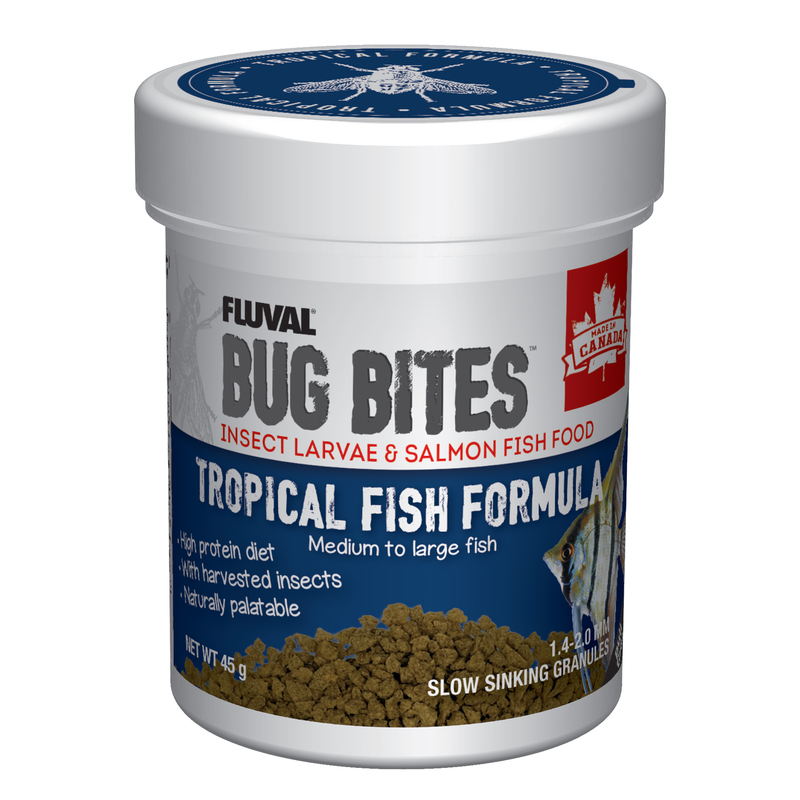  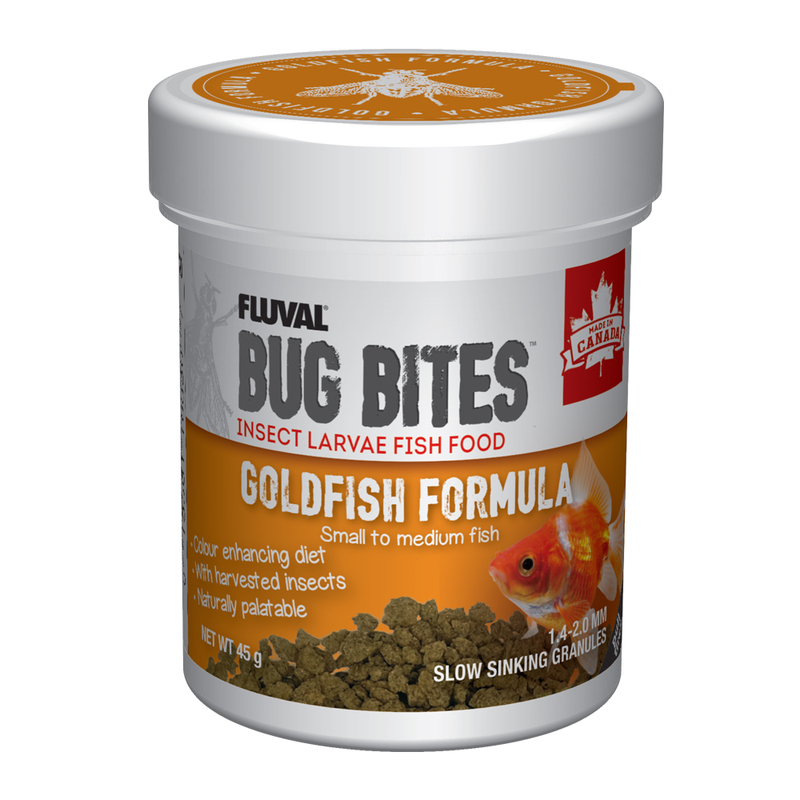 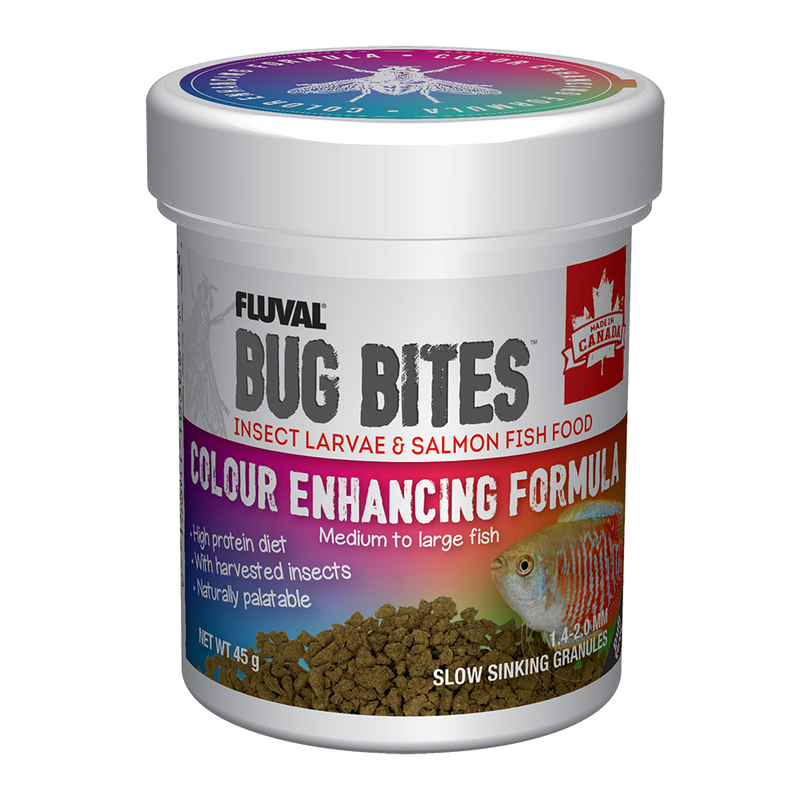  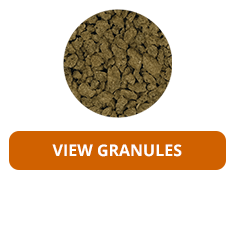 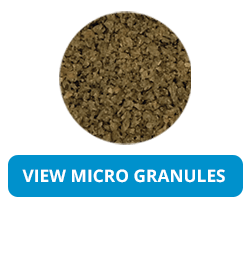 The larvae are then dried and mixed with high quality salmon, essential amino acids and minerals to offer a nutritious daily diet. 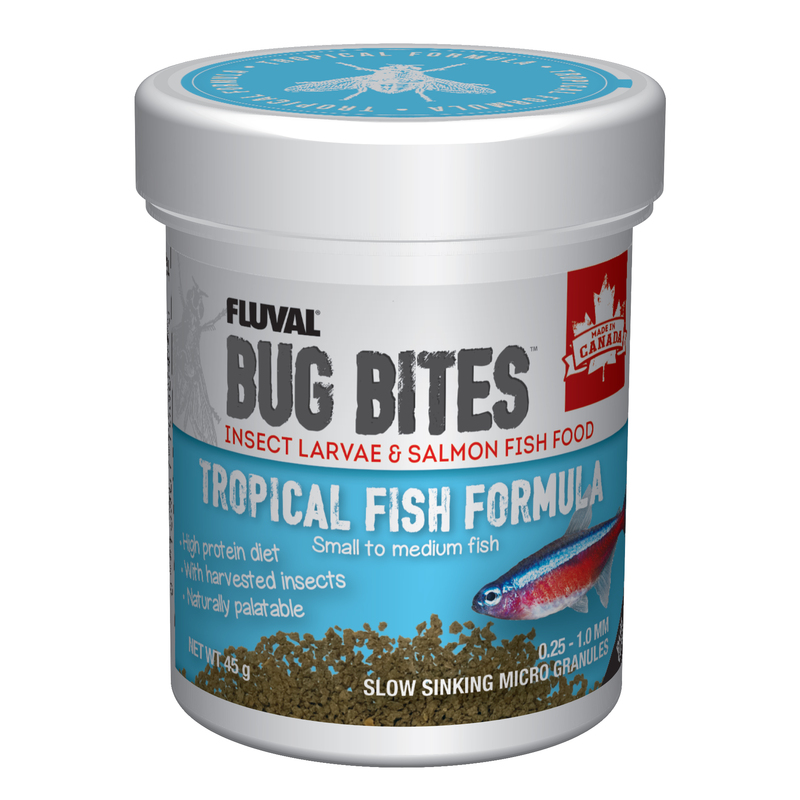 Compare the first several ingredients of your current fish food with Bug Bites™ and we bet you’ll make the switch!  The top 3 ingredients of this formula are all high quality protein sources, each providing a complete amino acid profile that are essential to the growth and condition of tropical fish. 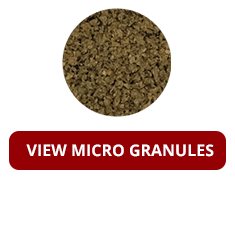 A daily diet formula containing a significant amount of shrimp (a source of astaxanthin), which boosts the natural pigmentation in tropical fish. 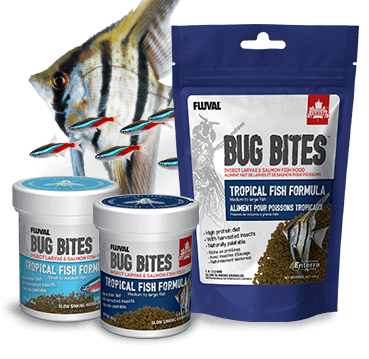  This formula meets the growth requirement of this highly active and often aggressive fish species, while helping to ensure proper conditioning and repair of body and fins. 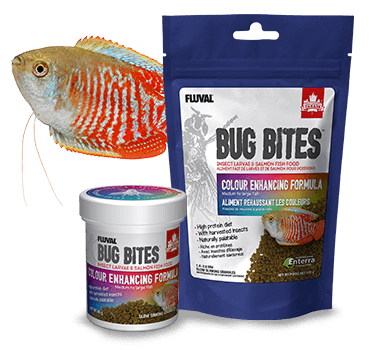 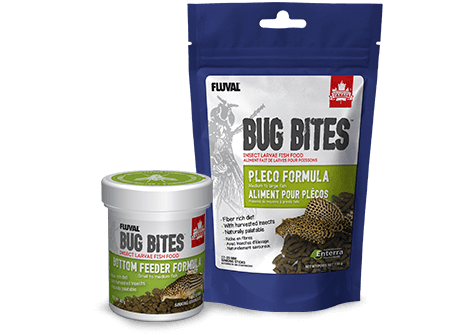 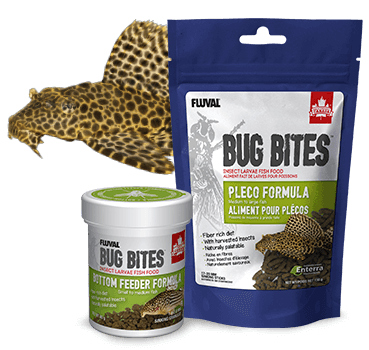 This formula incorporates a healthy mix of animal proteins and vegetables for all types of plecos and ancistrus; carnivorous, omnivorous and herbivorous.  The high fiber content contributes to the benefit of this species, avoids bloating and replicates the consumption of wood as a part of their natural diet. 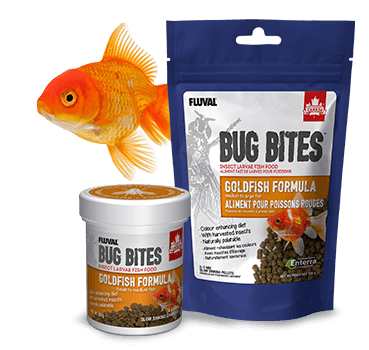 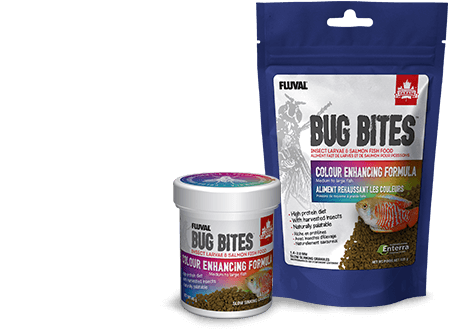 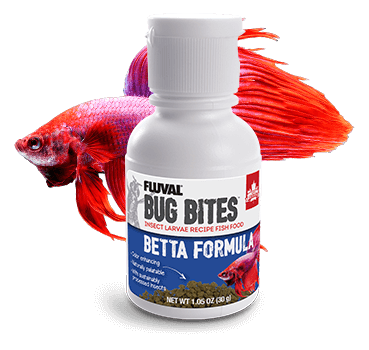 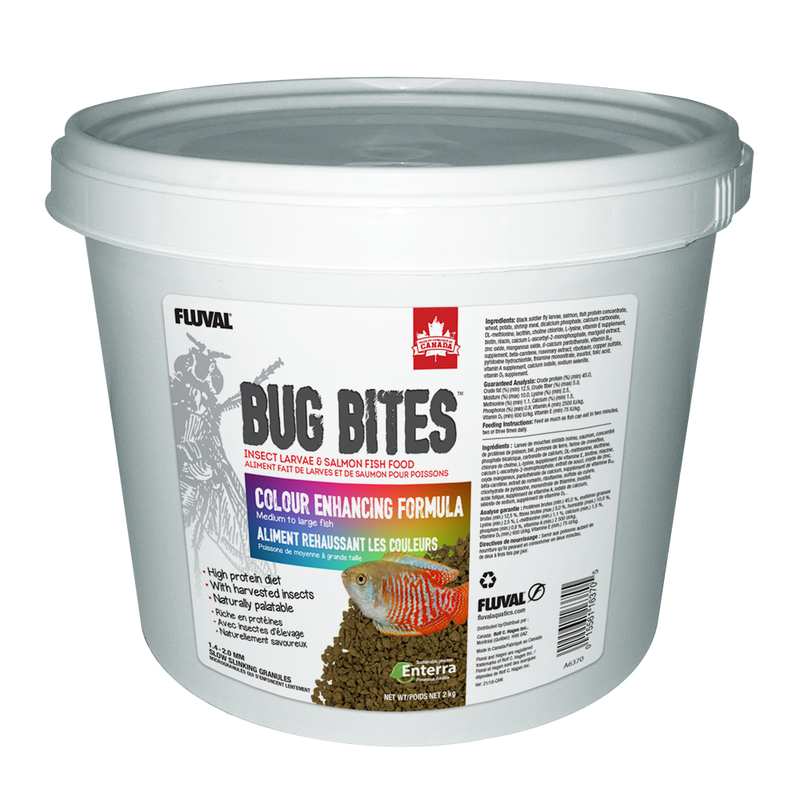 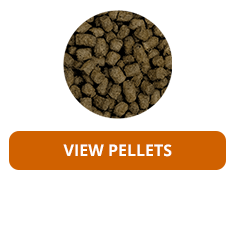 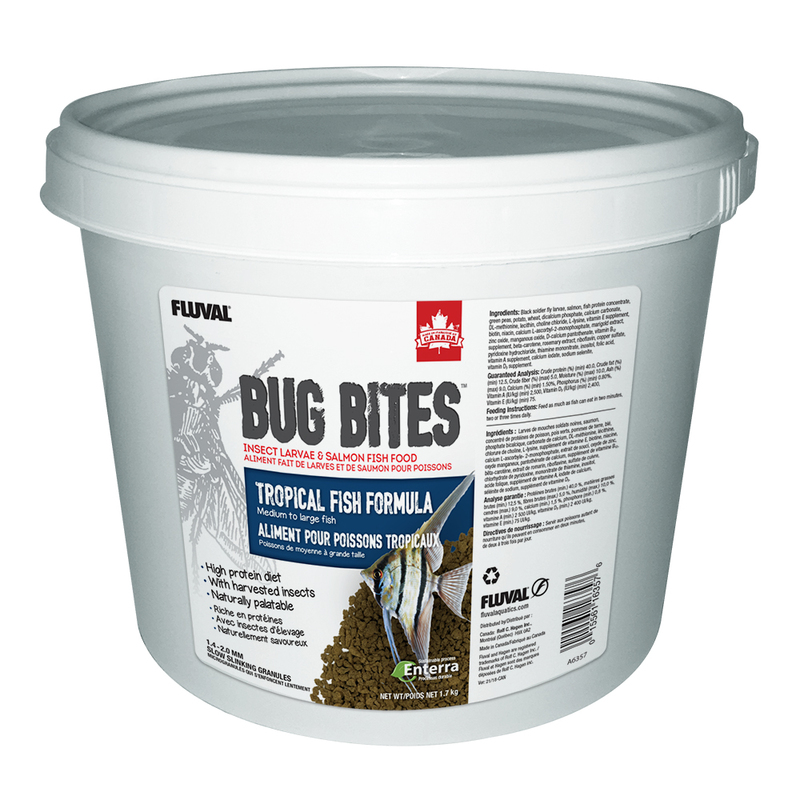 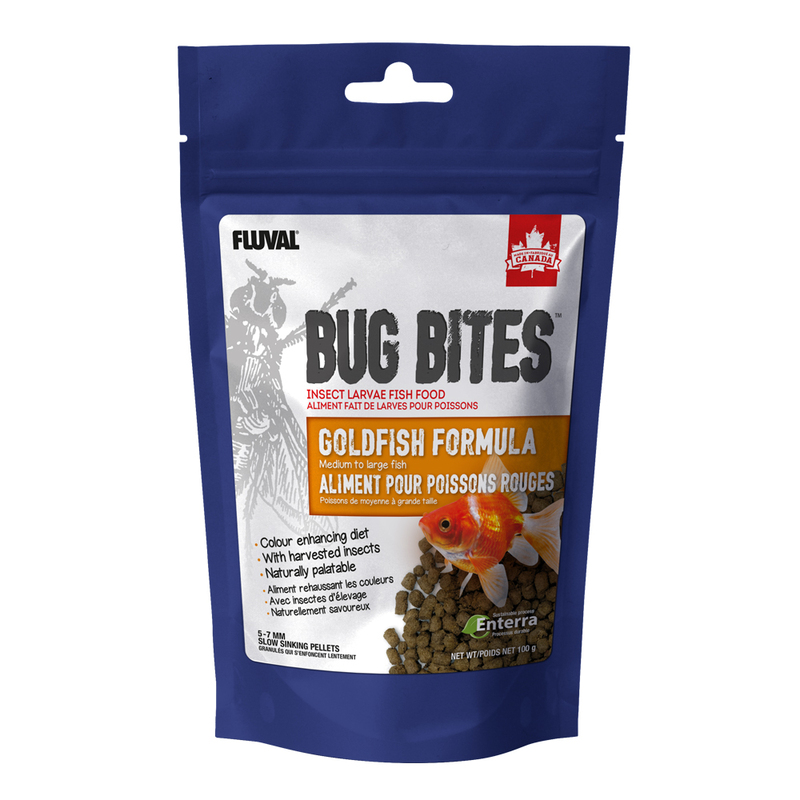 As Bettas predominantly feed on insects and larvae in the wild, they will greatly benefit from the Black Soldier Fly content (#1 ingredient). 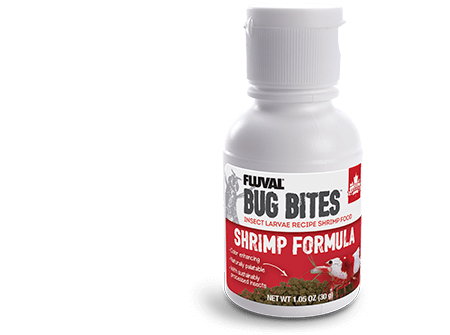 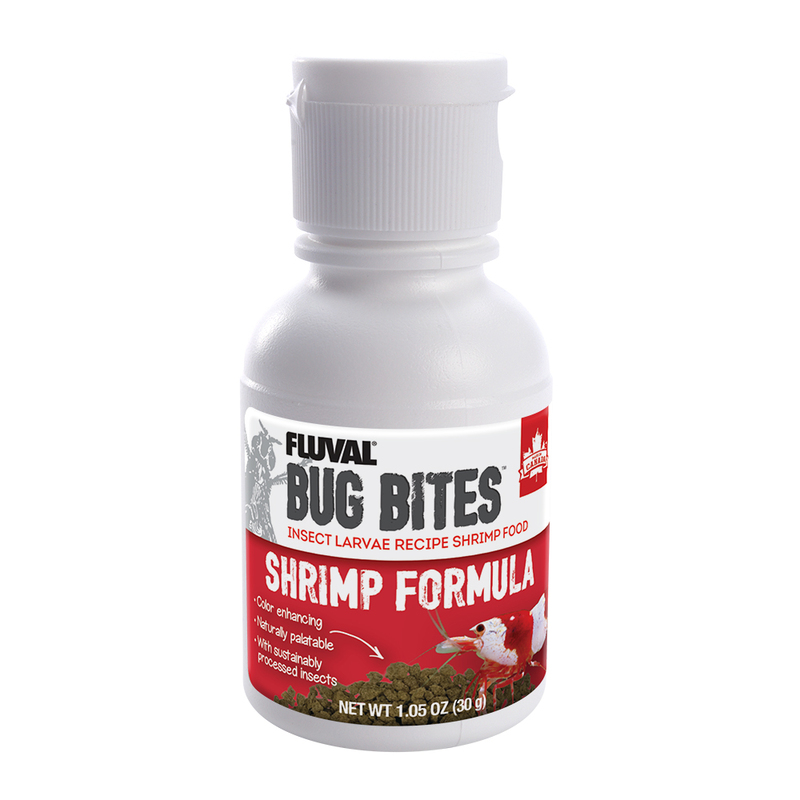  This formula also contains shrimp, resulting in healthier, stronger, vibrant, and active fish. 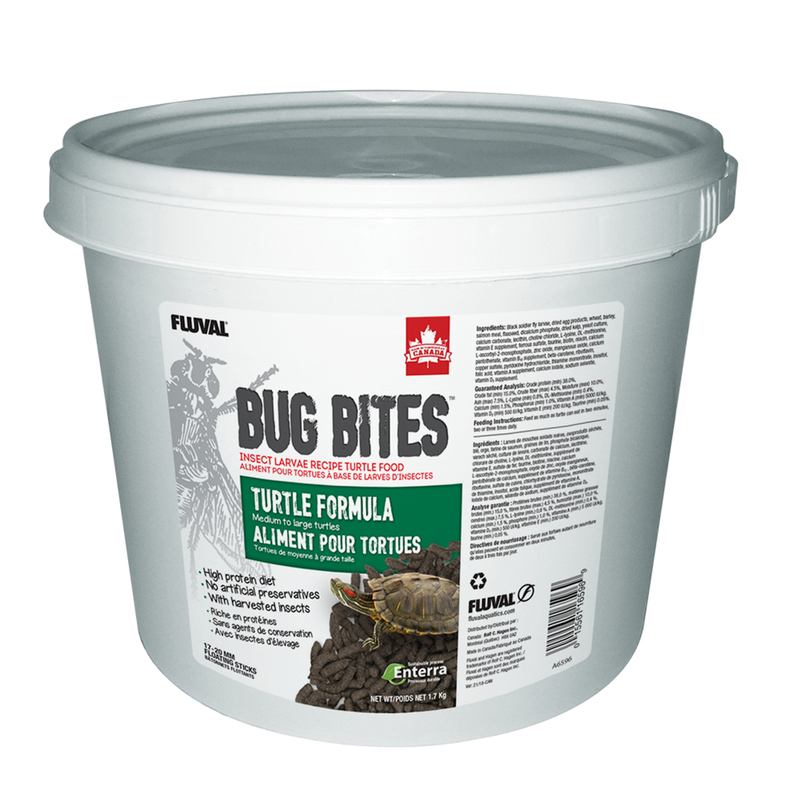 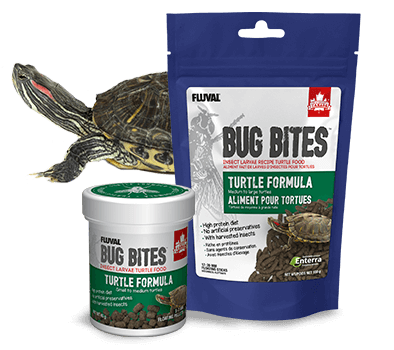 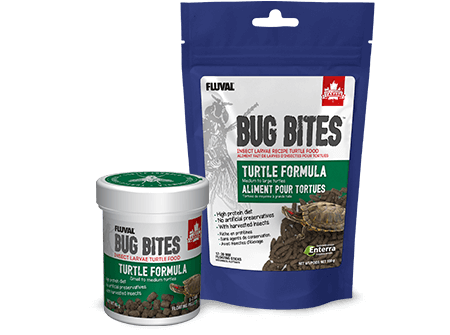 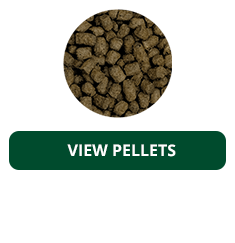 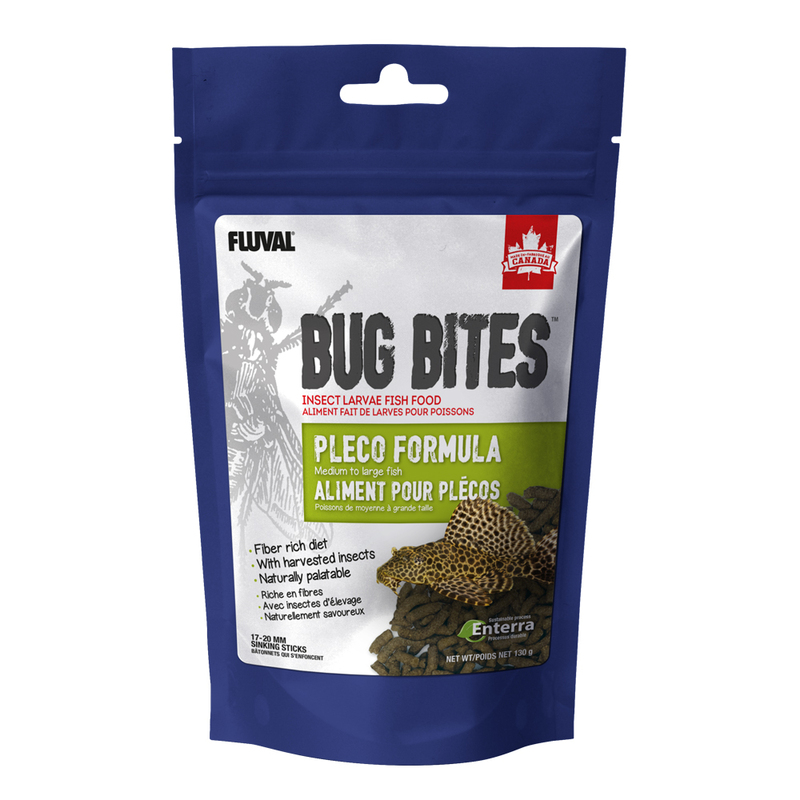 Enriched with eggs, this formula is highly digestible and offers turtles a great source of niacin, riboflavin, magnesium and potassium for their overall health and condition. 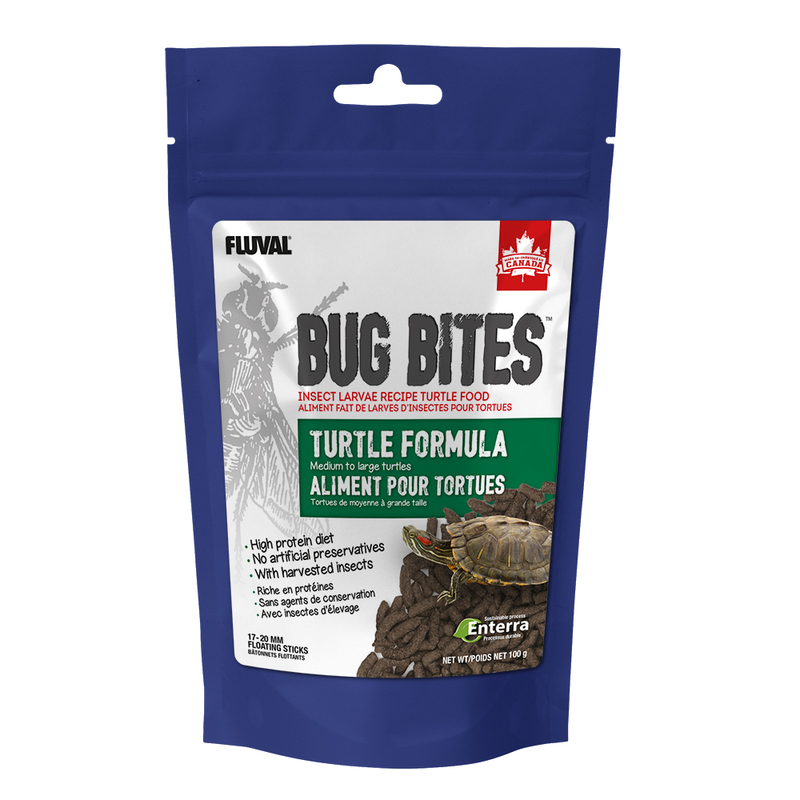 It also includes added vitamin D3 for a robust shell. 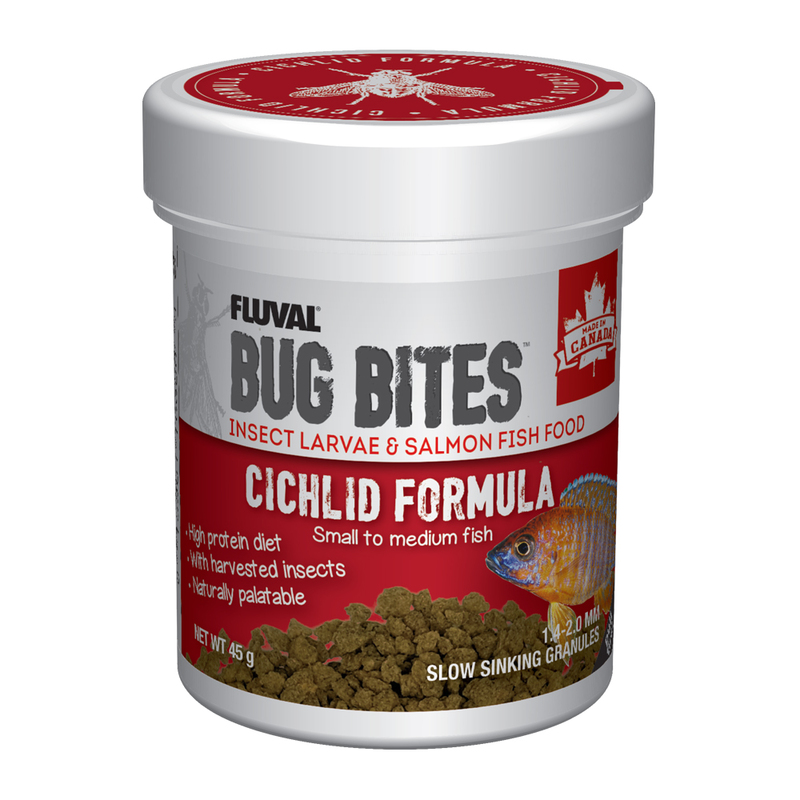 High in fiber, this formula ensures food intake is properly processed through the intestinal tract, supporting a healthier gut (and overall health) for this cold-water species. 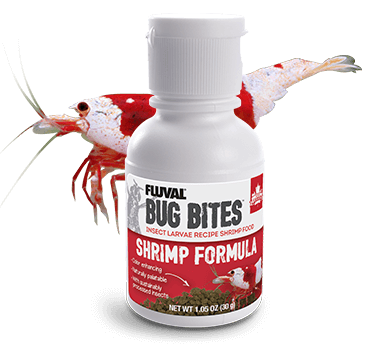 As shrimp are an invertebrate (without a spine), the exoskeleton serves to protect its body. 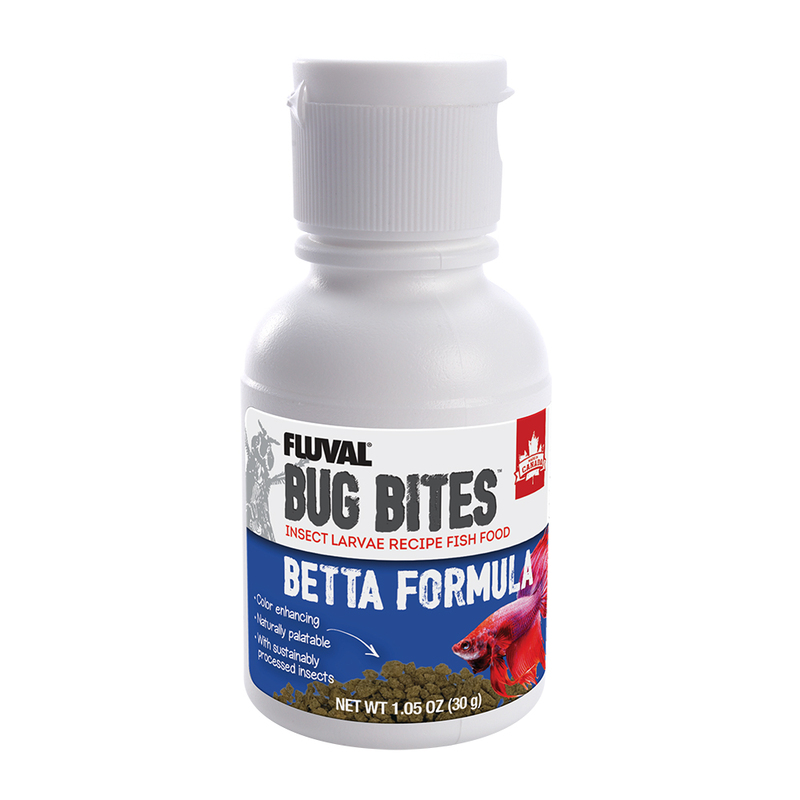 For this reason, this formula is enriched with both vitamin D3 and calcium. 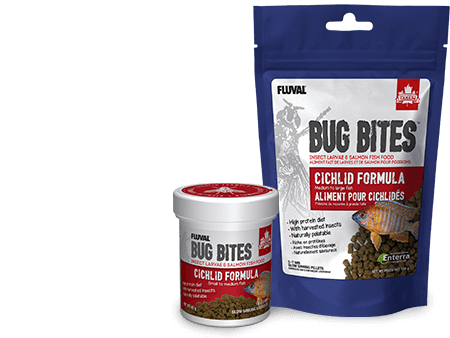  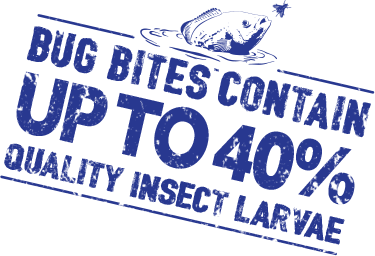 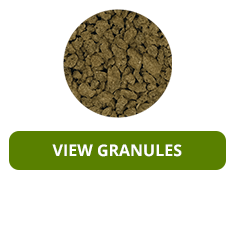 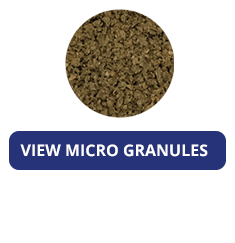 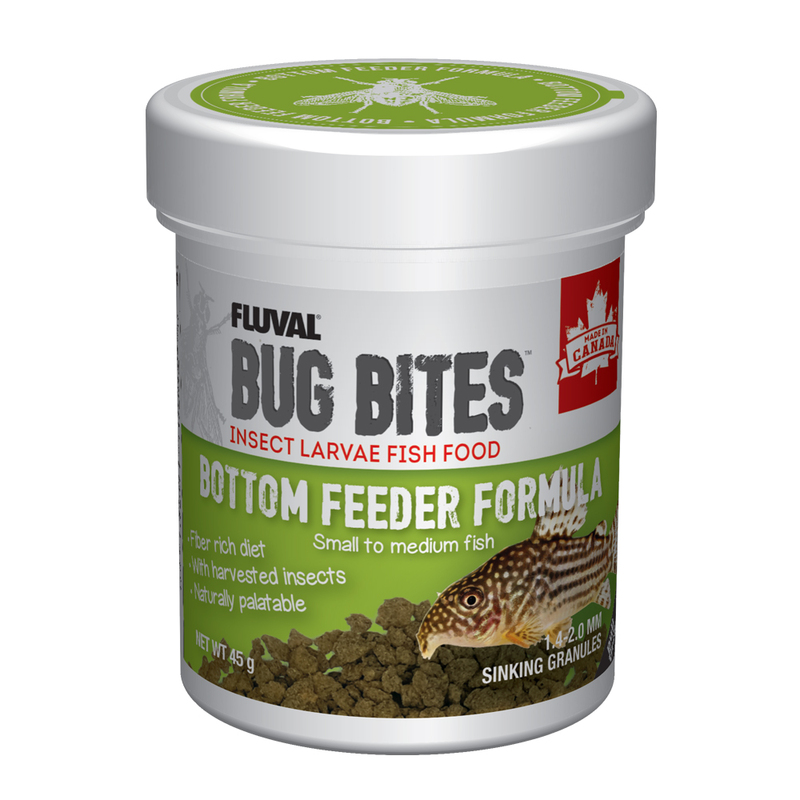 A high concentration of Black Soldier Fly Larvae and Salmon (#1 and #2 ingredients) also ensure an enhanced growth rate and superior condition.